Can Vancouver Go Zero Fossil Fuel??? Zero Fossil Fuel Campaign Launch! Is it possible for a community to completely eliminate fossil fuels? Event begins at 6:30 p.m. at Room C300, UBC Robson Square, in Vancouver. It’s FREE but pre-registration is required. 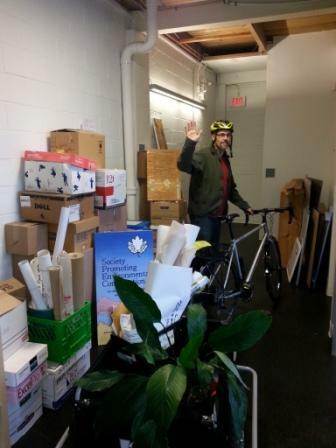 On October 31 SPEC is moving from its present location at 2060 Pine Street to an office in the newly renovated Kitsilano Neighbourhood House, 2305 West 7th Avenue, Vancouver V6K 1Y4 (the entrance to our office is on Vine, up the stairs). We are delighted to be sharing space with Kits House, and are very excited about all the possibilities that will arise from this partnership! 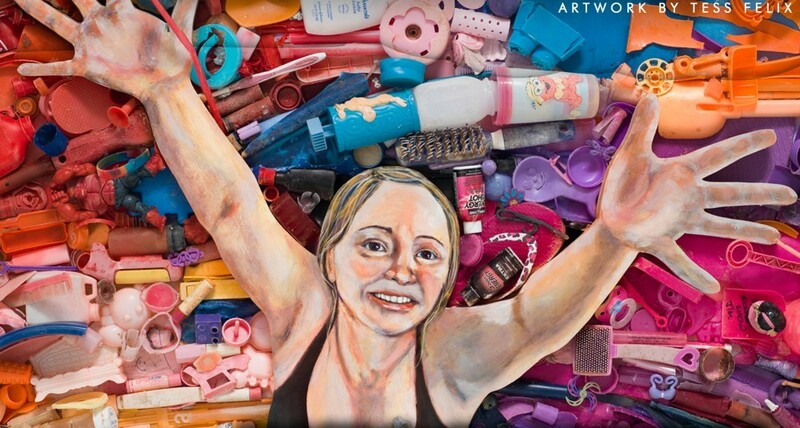 Join SPEC and CEP (Connecting Environmental Professionals) for a special screening of ‘From the Waste Up,’ which tells the story of director (and Vancouverite) Taina Uitto’s quest to live a plastic-free year. This will be the first screening of the film in Vancouver. Plus, it has one of our SPEC former staff and volunteer as a participant of the challenge! We hope you can join us! Watch the Trailer here. Registration will be opening soon, stay tuned! 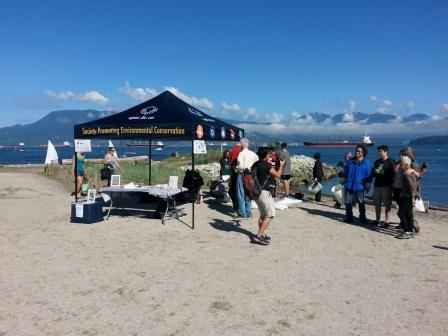 On September 27 close to 50 community members dropped by the SPEC tent at Jericho Beach to lend a hand in our last beach cleanup of the year. 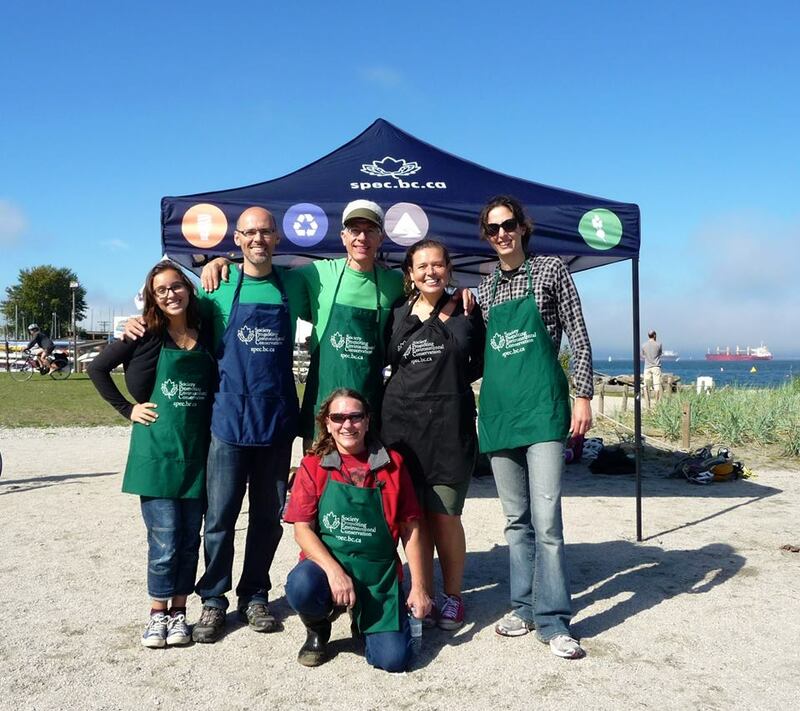 Our efforts were part of the largest beach clean-up in Vancouver history – the Shoreline Clean-up Celebration organized by Surfrider Foundation. 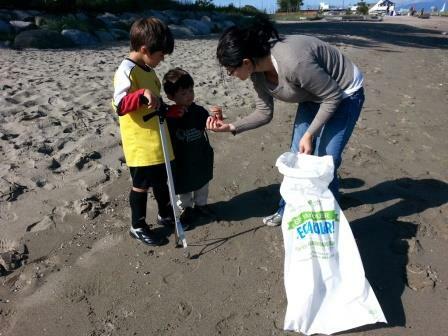 This event saw a wide range of different community groups take part in collecting garbage on Vancouver beaches. There was even a group of divers collecting underwater waste! While at first glance Jeric ho Beach appeared to be relatively free of garbage, by the conclusion of the two hour clean up our intrepid group of volunteers had collected a LOT of waste. Thank you to everyone who came out to help – we hope to see you all again at the next clean-up! Media Democracy Days 2014 presents Petrocultures and Media Activism -- a panel discussion on the implications of Canadian government's increasing support of the energy and fossil fuel industry. Panelists: Ben West (ForestEthics), Mario Canseco (Researcher), CalebBehn (Dene First Nation), and Linda Solomon (Vancouver Observer). For more information visit here. Our civic governments have a significant role to play in creating healthy, sustainable communities – get out your vote on November 15! For information on Lower Mainland candidates, voter eligibility, and voter registration, go here. Copyright © 2014 Society Promoting Environmental Conservation - SPEC, All rights reserved.